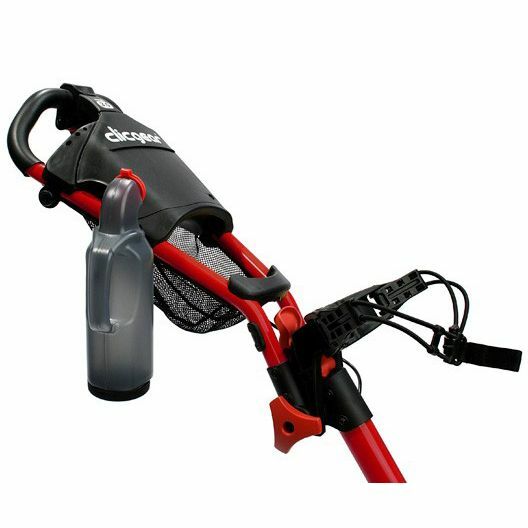 The Clicgear sand bottle with 2 separate mounting clips has been designed to clip easily to the cart and conveniently hold sand for reseeding divots. One of the mounting clips should be secured on the handle for sand to be close at hand when you are playing while the other clip is to be mounted near the lower bag support when storing. 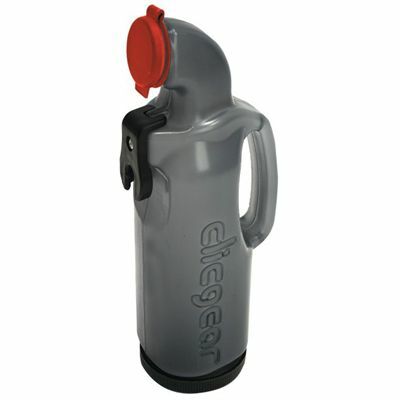 The Clicgear sand bottle is compatible with Clicgear model 1.0, model 2.0 and model 3.0. It also fits other push cart brands with 1" tubing. for submitting product information about Clicgear Sand Bottle We aim to answer all questions within 2-3 days. for submitting product information about Clicgear Sand Bottle. We aim to answer all questions within 2-3 days. If you provided your name and email address, we will email you as soon as the answer is published. for submitting product review about Clicgear Sand Bottle.